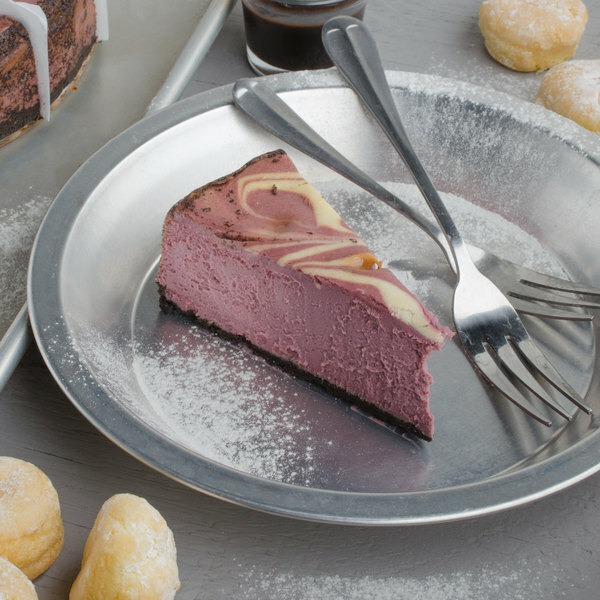 Serve up a decadently sweet dessert with this Pellman choices cheesecake. 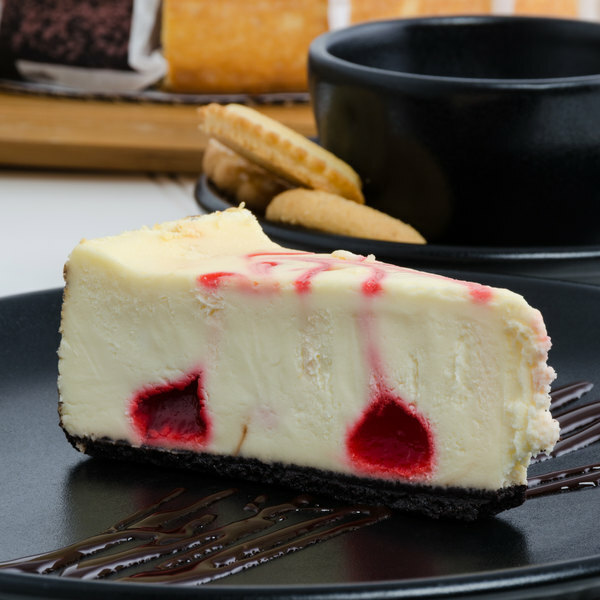 With four separate cheesecakes in one, this cheesecake is the perfect dessert for any patron looking to sample Pellman famous sweet and creamy cheesecakes. 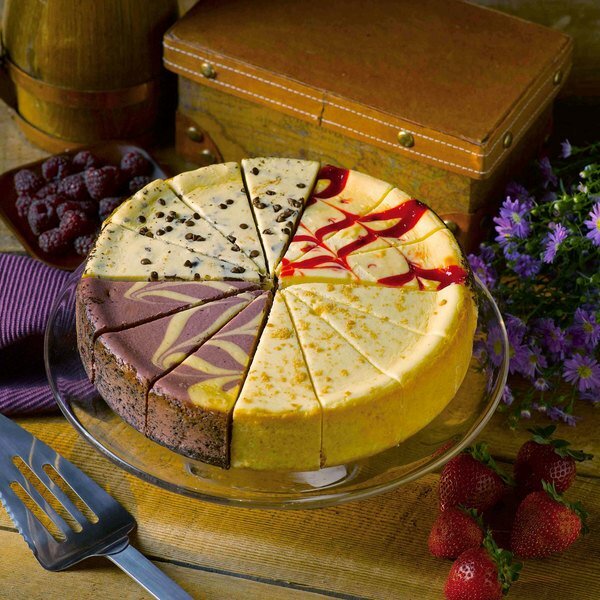 The choices cheesecake has four slices of chocolate chip cheesecake, four slices of plain cheesecake, three slices of raspberry cheesecake, and three slices of strawberry swirl cheesecake. The chocolate chip cheesecake has a chocolate cookie crust with chocolate chips. 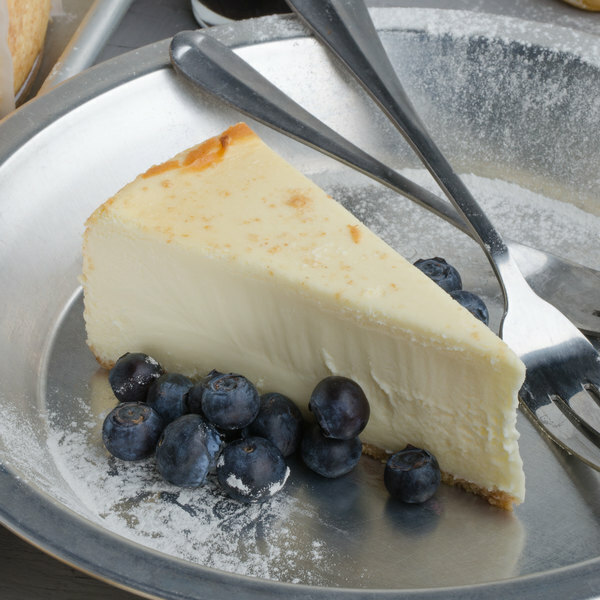 Meanwhile, the plain cheesecake features a velvety smooth consistency. The raspberry cheesecake is a sweet, creamy, and slightly tart dessert. Lastly, the strawberry swirl contains a mix of velvety smooth consistency with strawberry flavor! 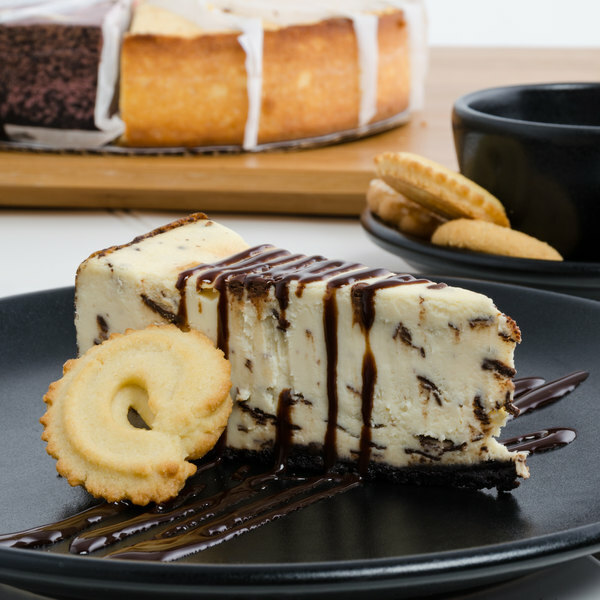 Best of all, this choices cheesecake is ready to serve right out of the box to save you time and money. It's even pre-cut to save you prep time and ensure portion control. 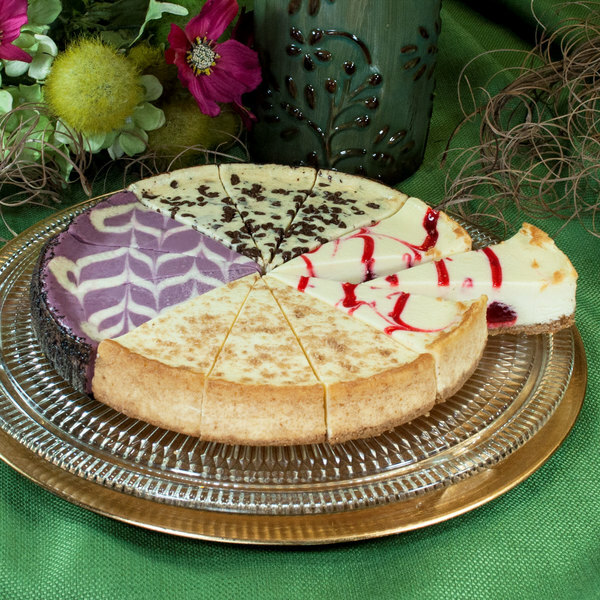 End any dining experience with the ultimate capstone by serving any one of these delicious slices of cheesecake! Pellman 9 in. Cheese Cake are great! I bought a case and was pleased I had them in the freezer and it made a easy way to just serve not have to make. This is the best idea ever. I love cheesecake and now I can get 4 falovors in one! Now the hardest part is picking my favorite flavor. 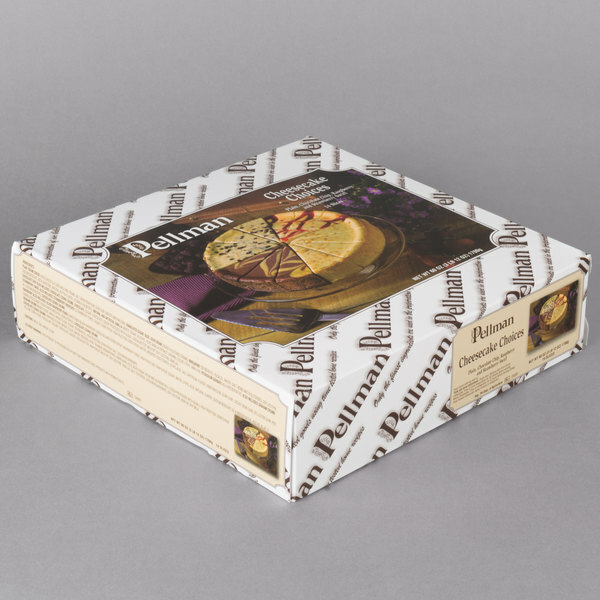 The Pellman Choices cheesecake is great and love the great variety of flavors. 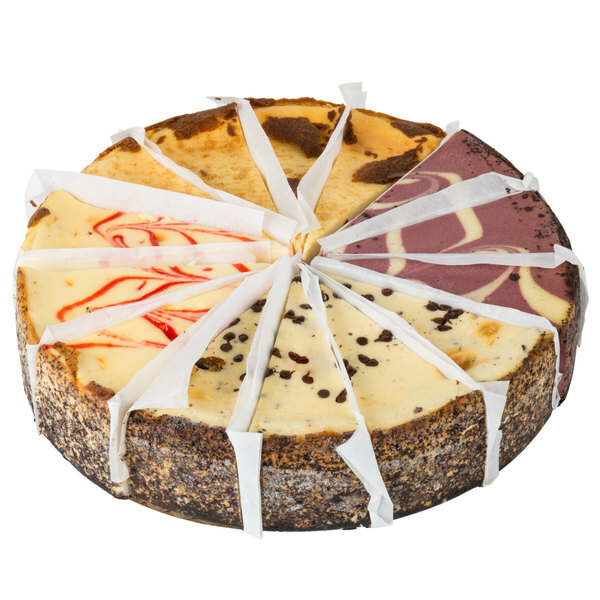 Great for our sweets shop and allows us to offer multiple flavor choices without thawing out multiple different cheesecakes. Great taste and texture. We were very impressed with with this cheesecake. The taste was amazing. It didn't get to use frozen but that's not anybodys fault. The days that it was being shipped to us it was in the mid 90's. It was still very cold when we got it. I plan on ordering more of these i'm just not going to order when it is so hot out. Really good cheese cake. Nice and creamy and the crust is nice. Not too crumbly. The flavors all have a nice taste. I love the plain, so creamy and flavorful, and the strawberry is delicious! I wish i could get the strawberry alone. The chocolate chip is pretty good, not so much my thing, but has a good slight chocolate hint.